How can you go wrong with chocolate and peanut butter? You can’t, really. So it’s a no brainer that these cookies are delicious. They are low in calories, sweet, chewy, and filling. I love the simplicity of these cookies. They don’t require much fuss, and they are made from things you may have in your pantry already. They have just a slight flavor of peanut butter, not overwhelming at all. The cocoa powder brings in a nice chocolatey taste. 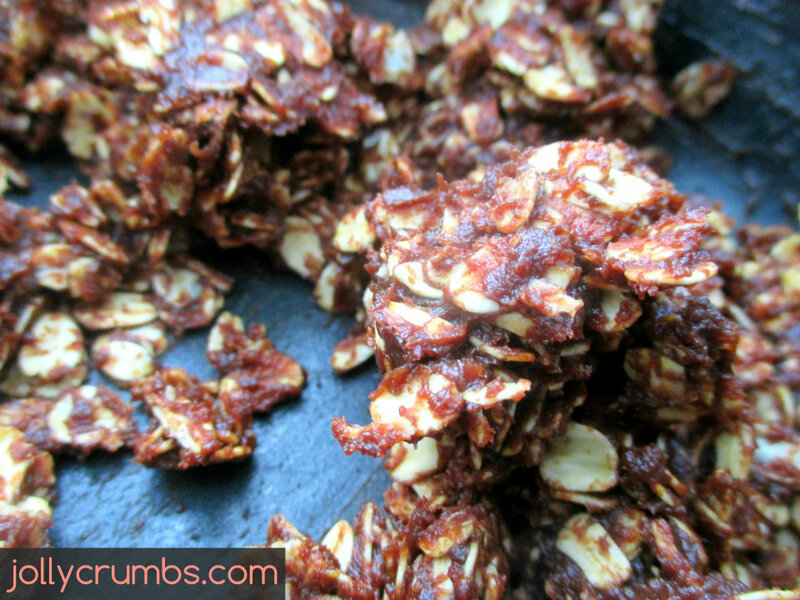 These really are a perfect no bake cookie. I love the texture of the oats in this. They don’t seem like a healthy cookie, but they aren’t bad for you! These were very easy to make, and the perfect cookie for a nice pick me up when you want something sweet but not full of calories and unhealthy fats. These cookies don’t require much work to make them. 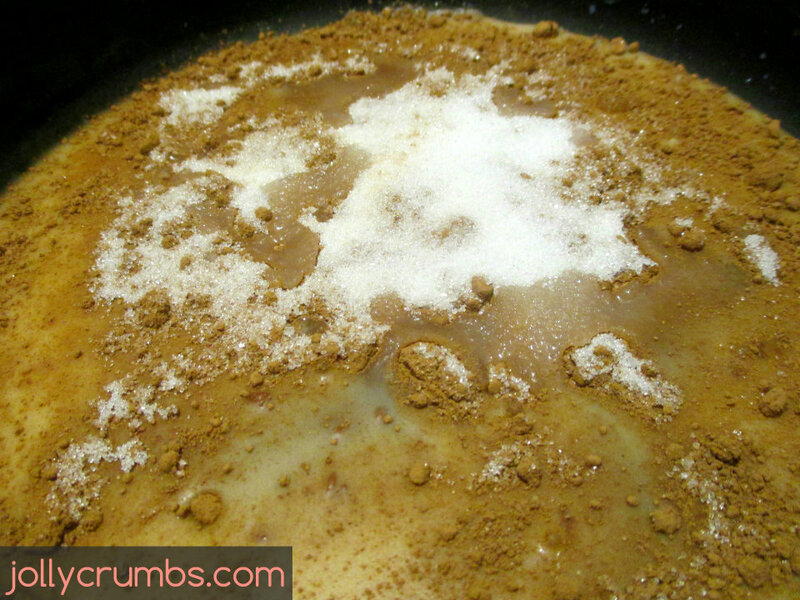 The first step is to mix the milk, cocoa powder, and sugar together in a small saucepan. Bring the heat up to low and continue to whisk until everything is smooth and blended together. Bring the heat up to medium and allow the milk mixture to boil. Once it starts boiling, remove from the heat. 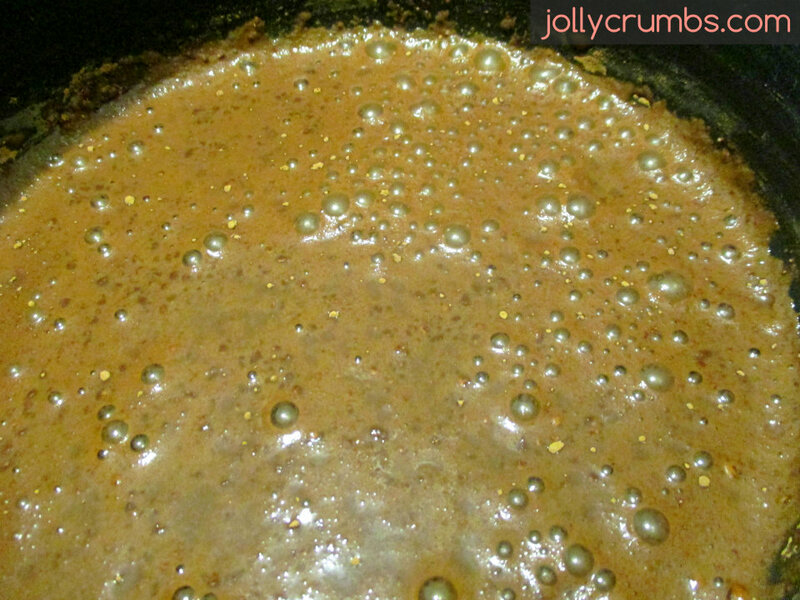 Stir in the peanut butter, and mix until it is completely melted into the chocolate. Stir the oats into the chocolate peanut butter mixture. The goal is to coat the oats as much as possible. Next, spoon or drop the cookies onto the prepared baking sheet. I rolled my cookies into balls and then pressed them flat on the baking sheet so they resembled cookies. You can shape them however you want. Freeze the cookies for at least 4 hours and keep them in an airtight container in the freezer or fridge. I placed mine in a zip lock baggie in the freezer to maximize their life. After writing this, I’m tempted to sneak one of these out of the freezer for breakfast. But that’s probably not what a responsible adult would do… These cookies are dang good. 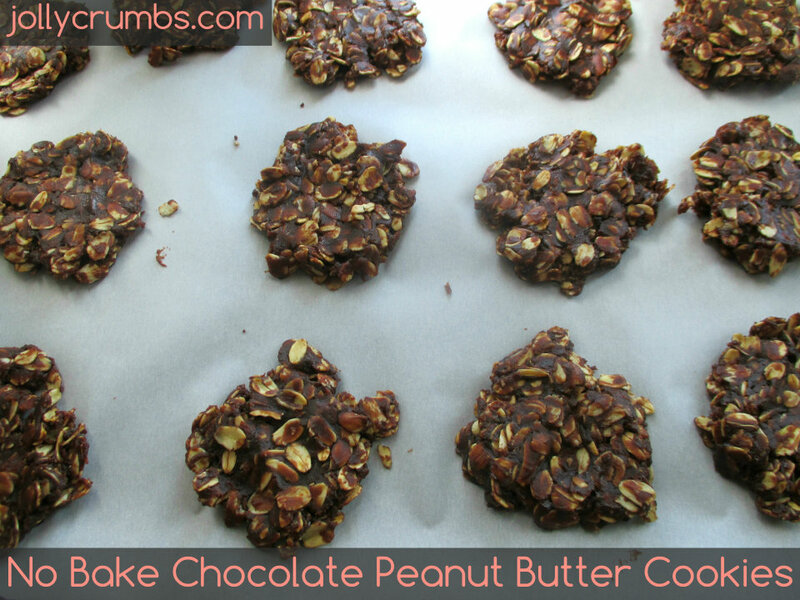 I know there are a ton of recipes out there for no bake cookies. However, this really fit my needs for a low calorie cookie that wasn’t packed full of things it didn’t need. This cookie is full of the essentials and doesn’t have any extras. Of course, you could add in things you like (coconut, sprinkles, mini chocolate chips, etc.). However, I think this simple cookie is perfect just the way it is. Stir together milk, cocoa powder, and sugar in a small saucepan over low heat until fully combined. Bring heat up to medium and allow the mixture to boil. Freeze for at least 4 hours and keep in the freezer or refrigerator. No! Way! I just sat down after making my own recipe of no bake cookies for my husband. 🙂 Nice! I’ve had some pretty high calories ones before, with butter or oil mixed in. I just don’t think they need all that! I’ll keep my eyes out if you post a recipe too!